Do you have trouble making choices? Are you willing to take risks in life but not necessarily permanent ones? Ever wanted to get a tattoo but were too afraid of the commitment? Well, aqua tattoos are the ultimate solution for you. Not only do these tattoos look almost exactly like the regular, permanent ink tattoos but in fact these are made from chemicals that are not harmful to your skin. The best part about these tattoos is that they can be made for a temporary period of time, and by washing and showering repeatedly – they will come right off! The dyes and chemicals do not cause any form of rashes or allergies on the customer’s skin either. Aqua tattoos are the one of the most popular types of tattoos these days, particularly for all the teenagers around the world. Teenagers struggle in getting permission from their parents for regular permanent marks which is why this is the perfect way they can be cool and yet still keep their parents happy. There are a broad range of designs for these tattoos and they are mostly drawn on skin which has the least contact with your clothes. If drawn on, for example, the chest – these aqua tattoos will come off easily due to the friction caused by the shirt. However, there is no limit to the type of pictures or designs that you can get tattooed on yourselves. Many tattoo parlors all over the world have started to hire professional artists who specialize in these temporary tattoos. 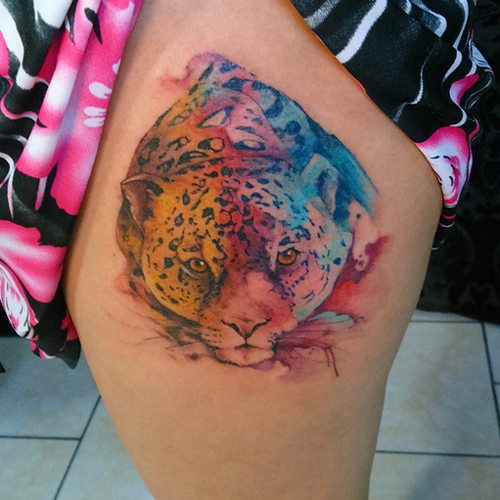 A majority of the population that gets these forms of tattoo art choose to go with a design that can double as a regular painting made by water colors. The possibilities are undoubtedly endless, so head on over to your local parlor and inquire about it now.